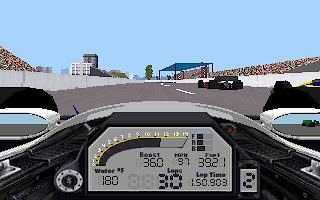 IndyCar Racing 2 is a racing game developed by Papyrus Design Group and released in 1995. It is the sequel to IndyCar Racing. 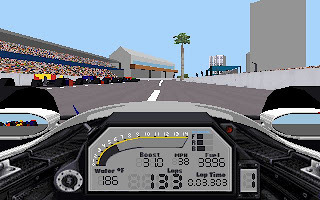 The game was intended as a realistic simulation of CART IndyCar Racing, now known as the Champ Car World Series. It featured many contemporary drivers, chassis and engines, and eight circuits which could be raced individually or as part of a championship season. 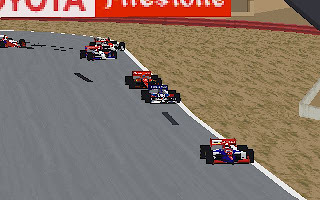 The simulation offers the ability to race in single events or a full Championship season. In any race, we need to take part in associated practice, qualifying and warm-up sessions before going to the actual race. 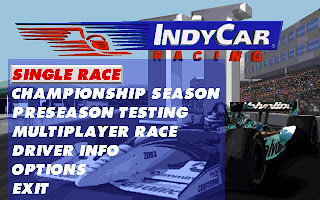 On technical side, the major improvement over the original IndyCar is the support of 640x480 256-color SVGA graphics mode. Besides, it also offers multiplayer support for two players, pi telemetry data for realism, interactive driving schools, enhanced artificial intelligence, in-game communication with the pit crew supporting speech recognition technology, and digital stereo sound. 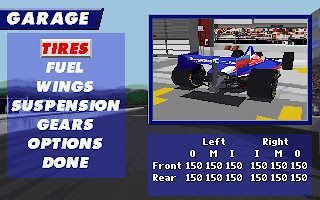 IndyCar Racing 2 also offers extensive customization of our car. We can spend an entire week inside the garage just fiddling with the many ways to improve our car's performance. 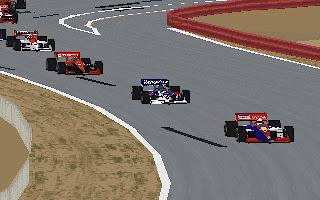 You can download IndyCar Racing 2 here.